I write to inform you and the executive of GSA that the amount of £350 sent to me, which was meant to purchase a laptop, was received. The money was equivalent to GHC1348 and I bought a brand new Toshiba laptop at GHC1300 and a safe bag to contain it at GHC50, a total of GHC 1350. I am very happy and very grateful to GSA for that kind gesture. This will go a long way to facilitating my work for GSA, and besides that it will be useful to me in keeping my school records. I attach pictures of the laptop and a receipt. Thank you and the entire GSA for the continued support. 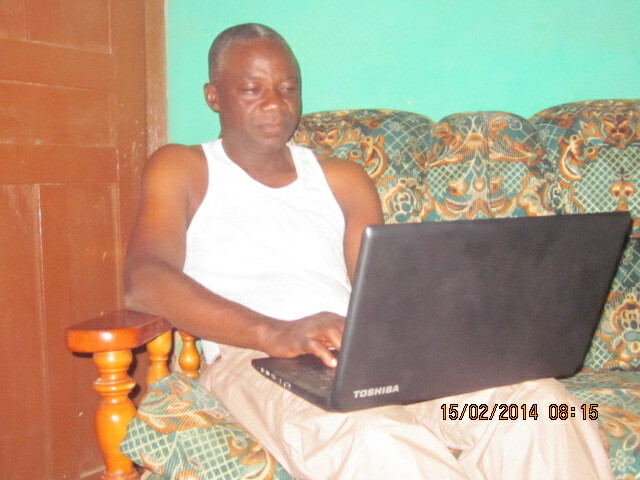 This entry was posted in News and tagged baako's-new-laptop by Penny Sewell. Bookmark the permalink.